Sarah Lee joined Xtreme in 2006 as the Mega Tot Department Lead. 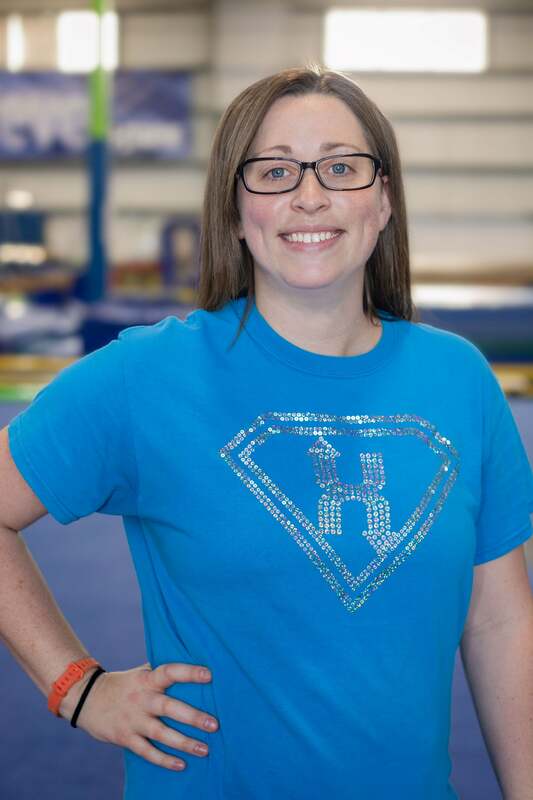 Sarah is a Lee’s Summit, MO native with 30 years of gymnastics experience and over 15 years experience coaching gymnasts of all ages! Sarah was a competitive gymnast with Dave’s Gymnastics Factory and Lee’s Summit North High School. She graduated from the University of Central Missouri in 2007 with a bachelor’s degree in physical education. Her passion is preschool and pre-team girls gymnastics! She is currently the Head Coach and Department Lead of Girls Pre-Team, and Mega Tot Program. Sarah’s goal as a coach is to make a positive impact on the lives of the children and families she interacts with every day. She loves watching the eyes of the children she coaches sparkle when they learn a new skill or overcomes an obstacle. Her goal for the children in her programs is for them to have fun, be active, and learn new skills while hopefully falling in love with gymnastics like she did many years ago!